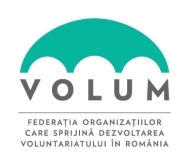 Pro Vobis – Centrul National de Resurse pentru Voluntariat va ofera posibilitatea de a participa intr-un stagiu de voluntariat de o luna in Cipru, in cadrul programului European Voluntary Service – EVS. Proiectul se numeste World Wide Village EVS – e un proiect de grup, de scurta durata, in care 12 voluntari se vor implica intr-o varietate de activitati in aer liber, pentru promovarea EVS, schimb intercultural, sprijinirea comunitatilor locale din zona rurala din nord-vestul insulei. Avem la dispozitie 4 locuri pentru voluntari din Romania si ne dorim in mod deosebit si candidati baieti, pentru a asigura un echilibru de gen in grupul voluntarilor romani. Alaturi de voi, in proiect vor mai participa alti 8 voluntari din Italia si Slovenia. Durata proiectului este: 20 august – 19 septembrie 2014. Mai jos aveti o serie de informatii despre proiect, iar daca aveti intrebari, nu ezitati sa ne contactati. Va rugam sa le cititi cu atentie si sa analizati daca este un proiect care va atrage si care vi se potriveste. Toti cei interesati de aceasta oportunitate sunt rugati sa scrie un mail la adresa voluntar@provobis.ro, pentru a primi formularul de inscriere. Asteptam inscrierile voastre pana in data 24 mai 2014. Any motivated person between the age of 18 and 30 years old. Our NGO, Politistiko Ergastiri Agion Omoloyiton, after 15 years of experience in youth work within our local neighborhood and 8 years of European projects (Youth in Action, Life Long Learning), has reached to a decision that the intercultural experience gained through the projects is a very important element in promoting European awareness on the local level. 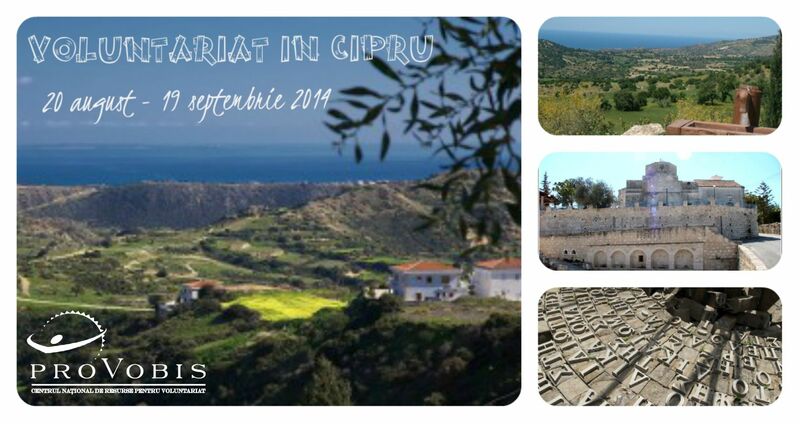 Wanting to expand this opportunity in rural areas of Cyprus, we are promoting this short EVS project to be implemented with and within rural villages of Paphos. An EVS project which will host 12 volunteers from 3 different countries within the villages, with the cooperation of young people of the local organisations, will give the opportunity of a long term learning process on the local level. The purpose will be to promote environmental issues but mostly intercultural exchange and active participation in areas in need. To empower and train EVS Volunteers and Local youth workers in dealing with cultural diversity, awareness of social issues and promoting employment ideas. The project aims to offer an opportunity to EVS volunteers to visit, work, participate in events organized by the volunteers for the community. The planning of activities itself has a voluntary character. Support the local community in its needs – especially persons need help in collecting their products. The implication of volunteers from other countries than Cyprus will enhance the goals of tolerance, acceptance and awareness of cultural diversity leading to integration and intercultural experiences. · Exchange best practices among youth workers in working within multicultural environment. Volunteers will work for 5 days up to 30-35 hours per week. Free days might vary from week to week. The spoken language in the workcamps will be English. Accommodation will be provided within the villages the project is applied. Volunteers may need to share rooms with 4-6 persons. Volunteers will need to bring their own towels. Volunteers will buy their tickets and be reimbursed when in Cyprus. Volunteers will receive an allowance of 95 euros. Here is some more information for the summer short EVS – We need a special group for this to work! 30 days with the same people and tasks to deliver is not an easy process. This is not a party time holiday and we would like you to emphasize this aspect. Of course there will be great opportunities for spending time together, but we need committed volunteers. We will do our best to make this experience unforgettable for all volunteers and locals involved. · Volunteers must be ready to work in the fields, early morning hours, which is not easy to cope with – this will be for about 10 days of the whole experience. Be ready to have hands on experiences with farmers and hard working people. Have a group spirit and tolerate group activities, living and sharing together during an entire month. We aim to select a group of volunteers that will be gender balanced. Expertise in media, internet, graphics, art, photography etc. will be appreciated and will be used within the project. Volunteers will not be together in all period of the Service. They will be in 2 or more groups supporting different locations and villages. Metings will be arranged within the working week with all volunteers throughout the project. Splitting the groups will be defined on the 2nd day of the On arrival training, according to abilities, interests and most important on the needs of the project tasks. 2 persons from Politsitiko Ergastiri will be with the volunteers throughout the duration of the project. Volunteers may freely suggest implementing cultural activities, such as music event, dance, or teaching dance, EVS promotion events etc which are especially appreciated and encouraged if involving the local community and young people. Aplica pentru 10 luni de EVS in Italia!